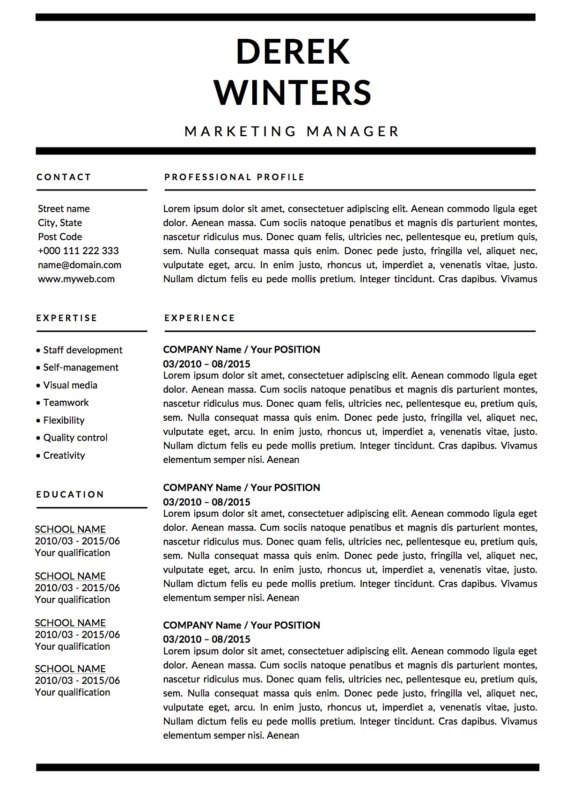 Who says that resumes have to be colorful in order to stand out? 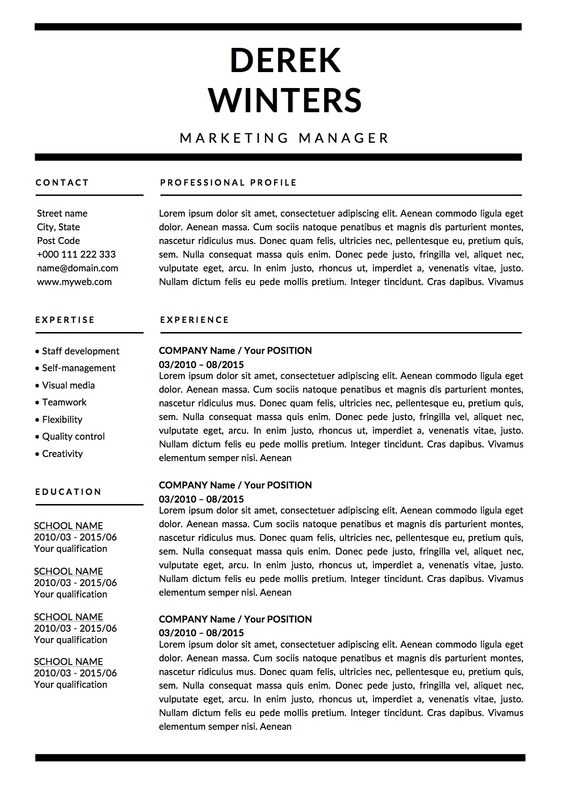 This Derek Winters Resume Template is equally outstanding with its monochrome palette. If you like things nice and simple, then you definitely can’t go wrong with this resume. 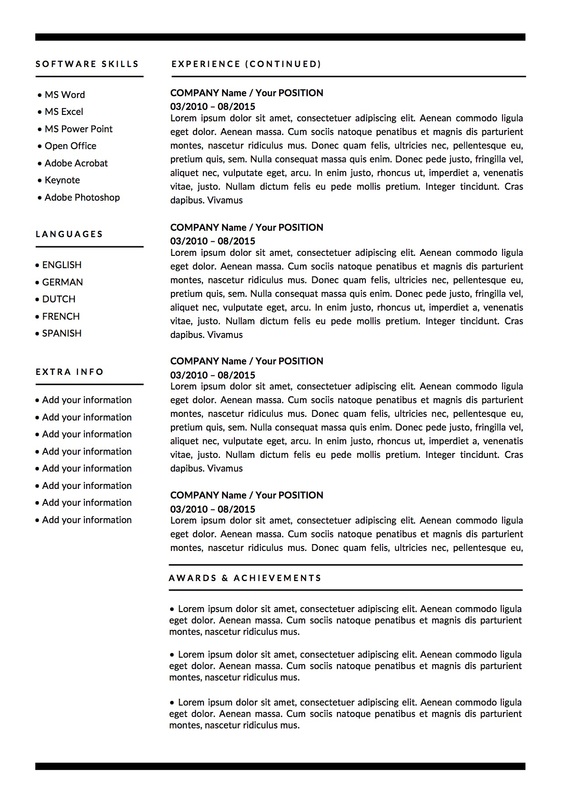 This resume includes sections for your profile summary, contact details, experience, education background, software skills, language, and extra info. If you wish to add or remove the sections, you can always edit it in Microsoft Word or Apple Pages. 7. Repeat step 3-6 for the References template too. 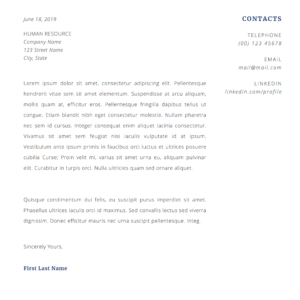 Want a cover letter in similar style? 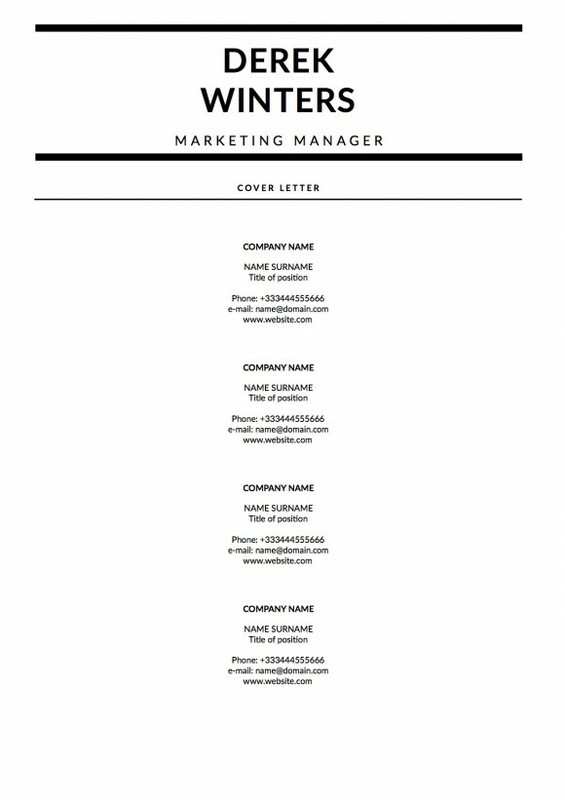 Check out Derek Winters Cover Letter.